Viet Grill in Kingsland Road is opening a pop-up serving only goat, to open on Wednesdays and Thursdays from 19th October to 17th November 2016. 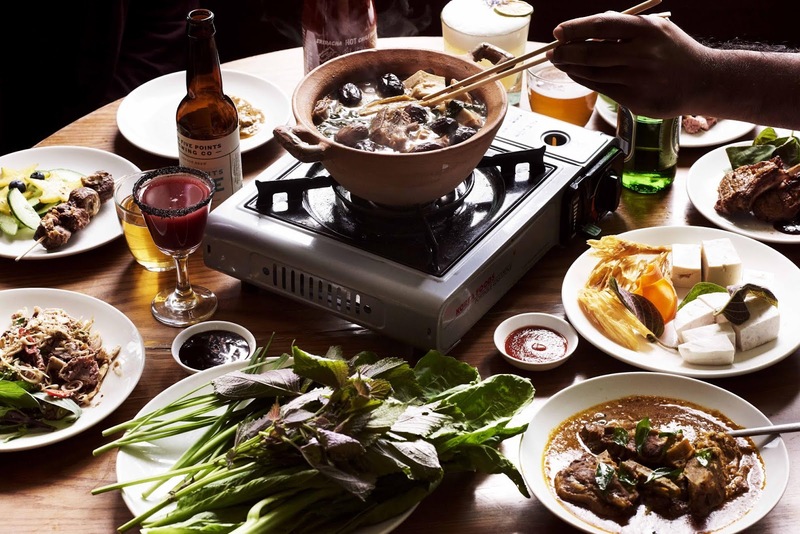 Tickets are £30, and this gets you a feast-style menu of Vietnamese food with goat at the heart, including a warming goat curry, Josper oven BBQ goat chops, and their centerpiece – the Vietnamese goat Steamboat, a communal hotpot of slow-cooked goat on a burner in the middle of the table. Everything about this sounds great! "Londoners might have recently fallen in love with goat but the capital is yet to give us an ‘all-goat restaurant’ - until now that is. Taking up residency at Viet Grill in Shoreditch this October is Goat House, a month long pop-up whose menu has been crafted around this increasingly popular ingredient. The theme takes its inspiration from rural feasting traditions representing the authentic and delicious goat dishes commonly found in cities and villages throughout Vietnam. The feast-style menu mimics the goat steamboat houses found in Vietnam where family and friends gather around the table to rejoice in these deliciously prepared dishes. The menu is priced at £30 per head and starts with a citrus cured goat salad, followed quickly by a warming goat curry and Josper oven BBQ goat chops which land before the arrival of the centerpiece – the Vietnamese goat Steamboat. A simmering pot of broth - infused with spices and hunks of slow-cooked goat will be placed on a burner in the centre of each table. Guest are provided with a range of authentic ingredients and condiments to transform this into a satisfying umami-laiden delight. Typically enjoyed in the cooler and more remote parts of the country, this warming, spicy and punchy concoction is the perfect antidote to the cooler nights ahead. Hugh Trung Bui, founder of Viet Grill believes that we’ll be seeing more goat on London menus. ‘We eat a lot of goat in Vietnam, our new menu showcases the best ways to enjoy this. It’s great to see more goat being served in London restaurants, it’s lean, low in fat but most importantly – it’s absolutely delicious.’ Hugh has spent months sourcing and importing the correct ingredients to recreate his authentic goat feast. To assist the feasting atmosphere, a short list of five cocktails from Viet-grill’s downstairs cocktail bar, the Little Red Staircase will be available each evening. A range of craft beer from local breweries will also be on offer including 5-Points Pale Ale from nearby Hackney downs." Tickets - Tickets for the popup are priced at £30pp and available by e-mailing abbey@vietnamesekitchen.co.uk. Reservations are for groups of two and tables as large as ten are available. Walk-ins are also welcome.